Now a day every business owner whether small, medium or large want to know, how the business is doing profits and requires financial reporting. 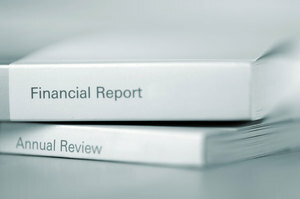 Financial reporting plays a vital role by helping business owners in decision making process. Generally Biz Owners require financial reporting on monthly, quarterly and yearly basis. Our experience tells us that some businesses require financial reporting on daily basis. Such businesses like telecommunication & network sector are keen to know what gross margin and net margin they are deriving by selling calling minutes. As these businesses require to update their soft switches with vendor rates on daily basis so they can compare with selling price they are offering. This is one of the main reason due to which they require financial performance on daily basis so to know what was earning or loss for the day. We at MCBS are unique in the sense that we provide financial reporting on daily basis to our unique prestigious clients. Its mean that we look into emails, update the financial record on daily basis and at the end of day we produce results and share with them. This report reflects the operational activity of business means sales, purchase, expenses profits. Users of this financial report are business owners, Investors & bankers to see the profits business is earning from its operations. This is one of the documents that is required for annual tax return purpose. 2. Balance Sheet / Statement of financial position. This report reflects account receivables, accounts payable, cash & bank positions, inventory value, your equity and other assets and liability. Users of this financial report want to see working capital positions and many more. This is one of the documents that is required for annual tax return purpose. 3. Statement of Cash flows. This report is very important as It shows cash inflow and outflow resulting from business operations, investment and financing. So Biz. Owners want to see from where the cash is coming in and where it is being spent. And what is available for business investment or so.